The father of the iPod is leaving Apple. 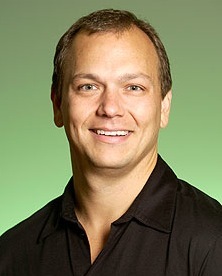 Tony Fadell, the senior vice president of Apple’s iPod division has filed his resignation due to "personal reasons." This comes as sad news for Apple as Fadell was eyed to be one of the Steve Jobs successors. The importance of Fadell to Apple’s iPod division is paramount. Not only did Fadell come up with the idea for the iPod, he was also part of the development team for the iPhone. Both of which are huge businesses fro Apple. To get a glimpse of Tony Fadell’s role for the iPod and Apple, here’s Fortune magazine’s lowdown on him. With his American swagger and his hair bleached white, Fadell stood out at button-down Philips Electronics, where he led an in-house pirate operation designing Windows CE-based devices. It was there that he came up with the idea of marrying a Napster-like music store with a hard drive-based MP3 player. He shopped the concept around the Valley before Apple’s Jon Rubenstein snapped it up and put Fadell in charge of the engineering team that built the first iPod. Ambitious and charismatic (and no longer a bleached blond), he now runs the hardware division that makes two of Apple’s three key product lines: the iPod and the iPhone. Other than the reason said in this article, now information is publicly available as to Tony Fadell’s plans and reasons for leaving Apple Inc.